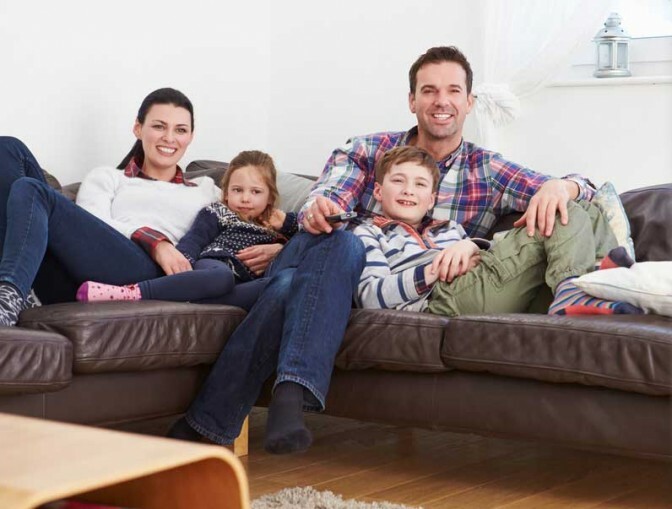 Many dads switch off from the stresses of everyday life by switching on the telly? Be it sport, news, a documentary or a movie, stealing some me-time in front of the TV, is as much about what is on the screen as it is about the escape from what is not. This father’s day, why not indulge dad’s doccie desire, his nagging news need, his motive for movies, or his channel-hopping craving by creating the ultimate daddy-cool home theatre? Here are our tips on how to make the dad in your home, the happiest dad on the block. The first issue to address when creating a man-cave come entertainment theatre is identifying what space can be used. Perhaps it is the spare bedroom, where a sleeper couch can double up as cinema seating, a re-purposed outside room or second garage, a corner in the main bedroom, or a sectioned-off area of an existing living room. It all depends on what space the home has available. It is important to identify the space before you go out big screen shopping as the space allowed will determine the size of your screen and seating. Other considerations when looking for the ideal place include how easily the area can be isolated and insulated from the rest of the home, and if there are any concerns re sound and lighting. 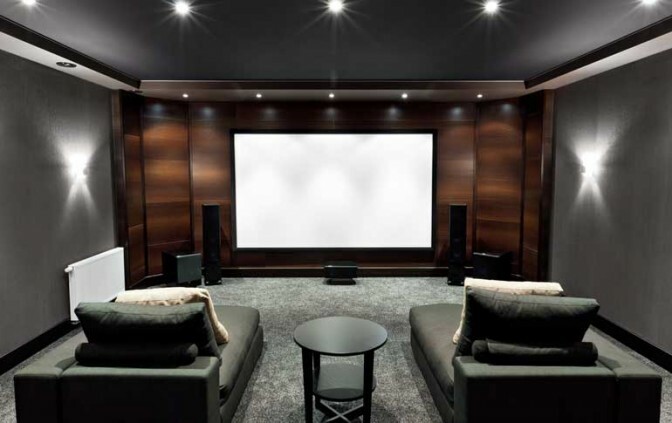 Shutting out unwanted natural light is critical to the full enjoyment of a home theatre, outdoor light reflection on the screen is a definite no-no. Install window finishes that have maximum light blockage, such as shutters or blinds, that when closed restrict all natural light coming into the space. They can also be opened in a way to direct natural light away from the screen while still allowing in natural ventilation. 2. Restricting natural light is important for maximum viewing pleasure. 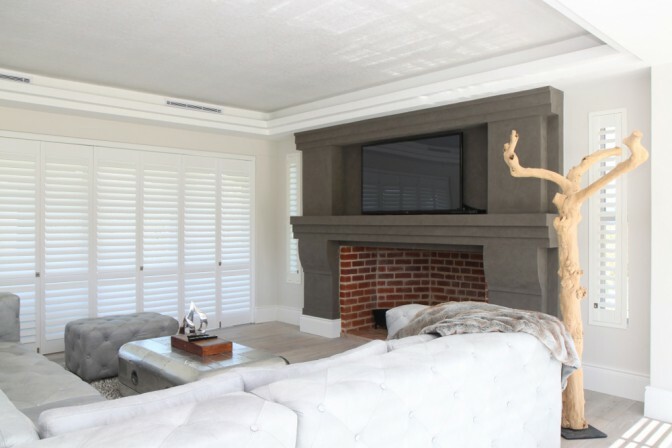 Get advice on choosing the best audio visual set-up for your space, keeping in mind it must work with the space you have allocated and decorated for dad. Again, the choice of seating is dependent on the space you have allocated for dad’s home theatre, but the one non-negotiable is that comfort trumps all else; recliners or a comfortable put-your-feet-up sofa are ideal. Use practical upholstery that is easy to keep clean as cool drink spills and a squashed popcorn mess are almost certain to happen; look for leather or slip-cover options. Make sure there is space to put glasses and bowls of snacks etc. all within arm’s reach of where dad is seated. 3. Seating with easy-to-clean slip-covers, and easy-to-reach side tables are great for dad’s home theatre. Although this space is designed with dad in mind, what will make this the best treat for dad this Fathers Day is sharing it with the family he loves. 4. Dad is happiest sharing with those he loves.